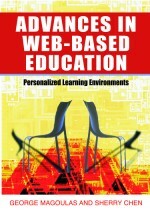 In this chapter, an adaptive feedback framework (AFF) is proposed for the provision of personalized feedback accommodating learners’ individual characteristics and needs in the context of computer-based learning environments. Multiple informative, tutoring, and reflective feedback components (ITRFC) are incorporated into the framework, aiming to stimulate learners to reflect on their beliefs, to guide and tutor them towards the achievement of specific learning outcomes and to inform them about their performance. The proposed framework adopts a scheme for the categorization of learners’ answer, introduces a multi-layer structure and a stepwise presentation of the ITRFC and supports adaptation of the provided feedback both in the dimensions of adaptivity and adaptability. The adaptivity of the AFF is based on the gradual provision of the ITRFC and on the adaptive presentation of the ITRFC according to the learner’s knowledge level, preferences and interaction behaviour. The adaptability of the AFF enables learners to have control over the feedback presentation in order to guide the adaptive dimension of the framework. In the context of the Web-based concept map assessment tool referred to as COMPASS, the proposed framework has been adopted for the provision of personalized feedback in concept mapping tasks. A preliminary evaluation of the framework in the context of COMPASS showed that the AFF led the majority of the learners in reviewing their maps, reconsidering their beliefs and accomplishing successfully the underlying concept mapping task.